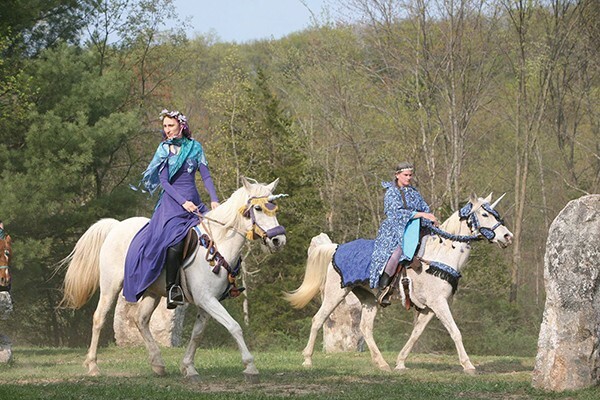 Since the 1990s, the Center for Symbolic Studies has celebrated the return of spring with this Celtic festival, marking the halfway point between the spring equinox and summer solstice. Now back for its 26th year, this festival features giant puppets, dancing dragons, prancing horses, and a bonfire to end the night. The event also includes the Vanaver Caravan & Youth Dance Company, the Storycrafters, and the Stone Mountain Choir. Beltane takes place at the CSS in Rosendale on April 30 from 12pm to 7pm. General admission is $15. $5 for teens and seniors. Children 10 and under are free. Cssfestivals.org.